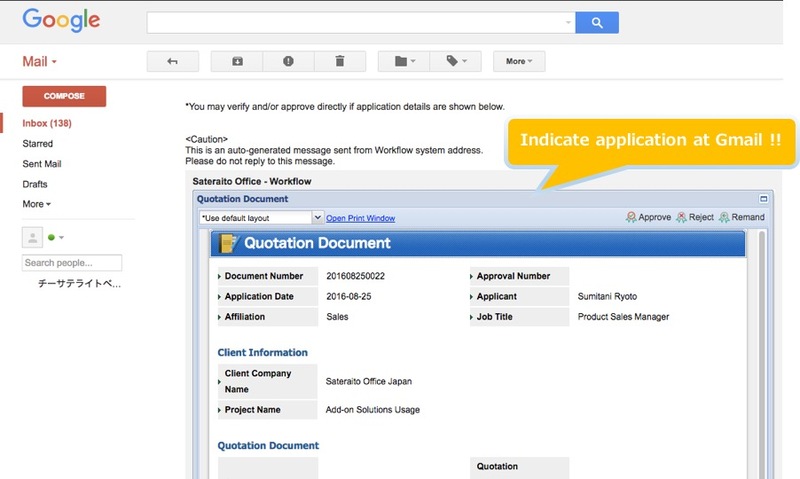 "Sateraito Office Workflow for Google Apps" provides workflow function to your Google Apps environment. Sateraito Office Workflow is developed in GAE and deployed as a SaaS service. Sateraito Office Workflow can be used in Google Site as gadgets and integrates closely with GMail (view and approve application in gmail). Saterauti Office Workflow can implement variaty types of workflow from simple workflow like leave application to completed workflow like conditional branching, linked multiple workflows. ・Can create multiple Workflow instances. Each instance has separate database. 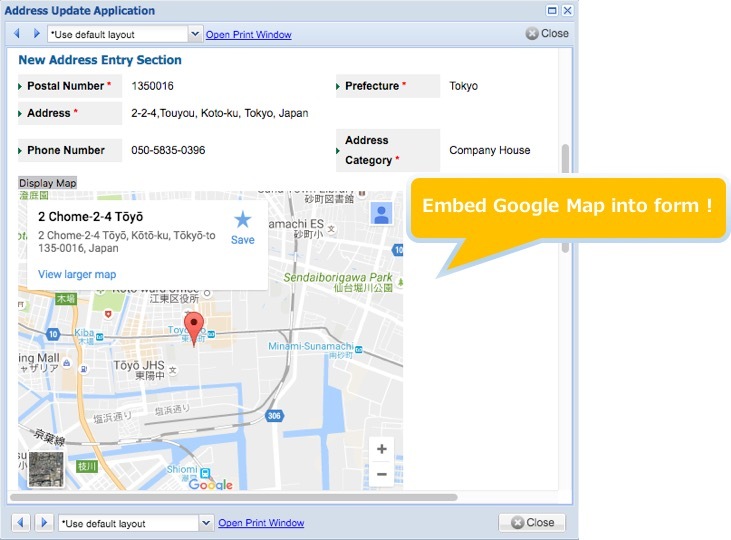 →For example: each subsidiary has different workflow instance. 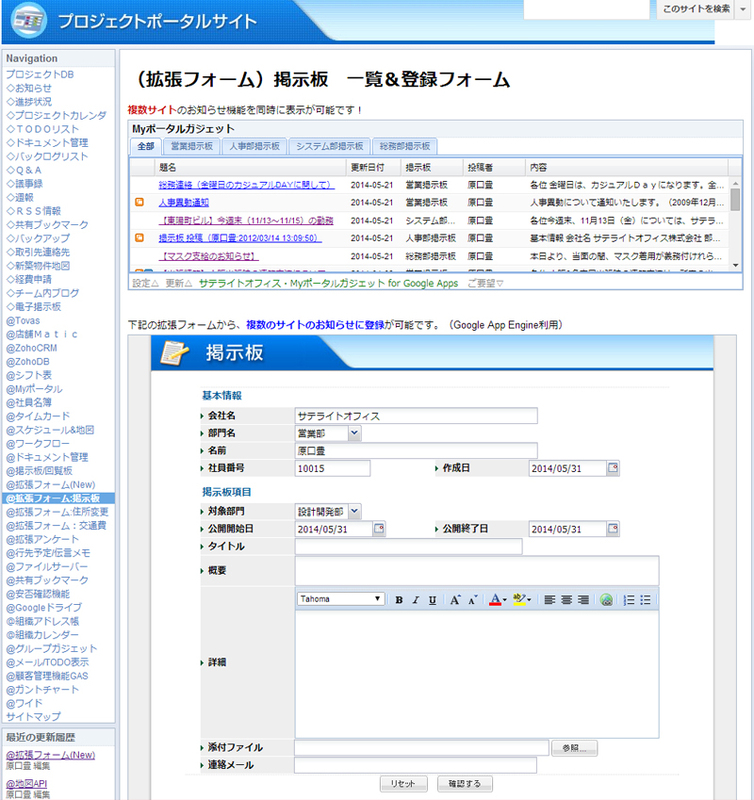 ・Provide GUI to allow non-IT staff to build Workflow application form. 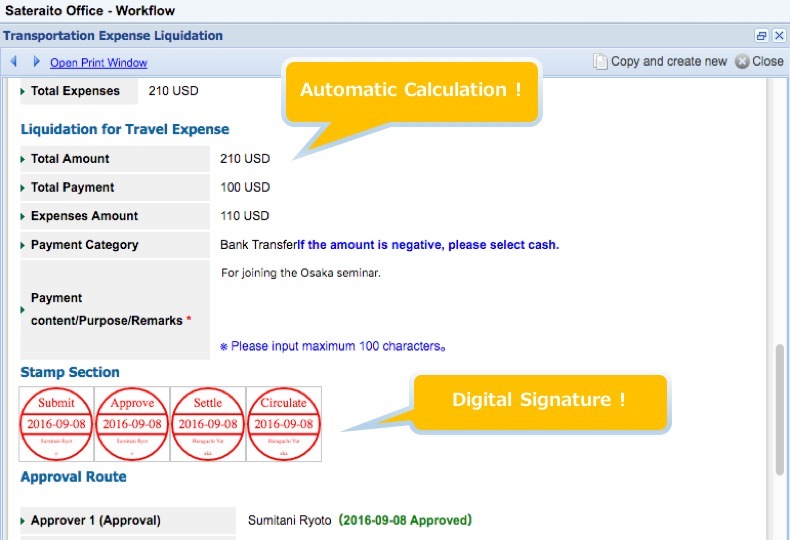 ・Edit permission of application form when in workflow progress. ・Work in Google Site as Gadgets. 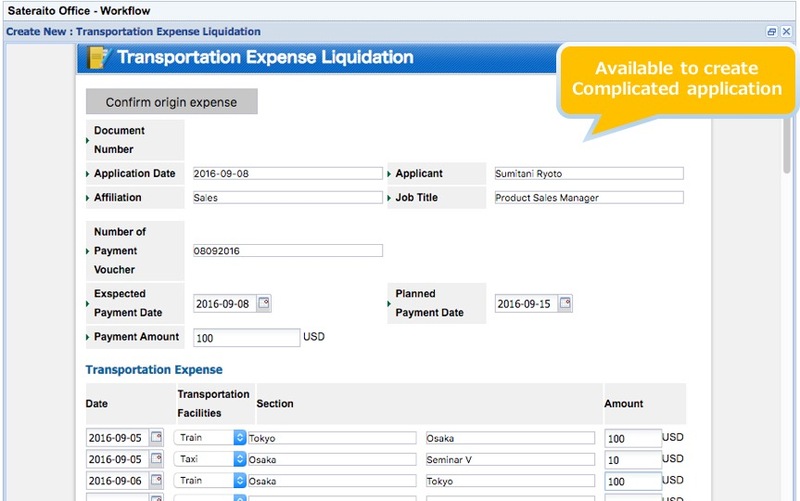 Can support Abstract Application or Report Application. 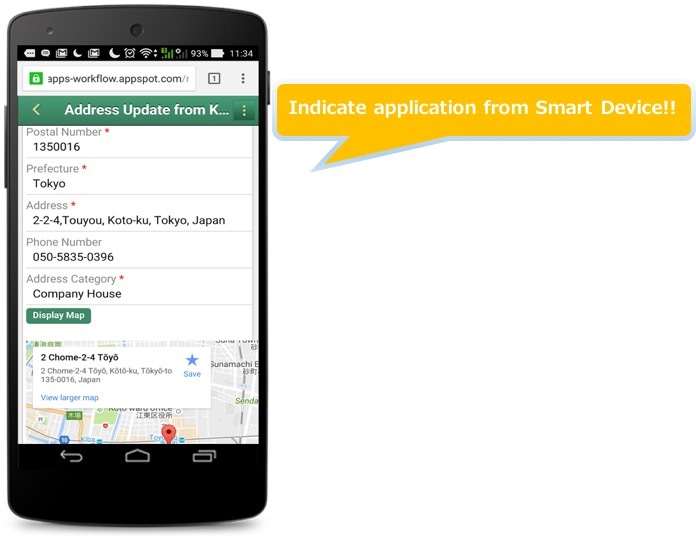 Inject application in gmail screen.